Rogue Shooting Targets | Rogue Shooting Targets manufactures a full line of laser cut AR500 Steel Targets for all types of shooters. The value of audible and visual feedback have made AR500 steel targets a popular choice among shooters. The resounding ping heard after the target is hit serves as a coaching guide to the shooter, letting them know that they successfully hit the target. This can be an invaluable tool especially when shooting at long distances. The farther away from the steel target the louder the ping should resonate. When selecting a steel target there are three contributing factors that determine the quality of sound when hit: thickness, size and mount. AR500 steel is extremely durable and made to withstand high impact, so when selecting a steel target choose a thickness specific to you needs. The thinner the plate the louder the ping. 3/8″ Steel Gong Targets are specifically designed to handle magnum handguns and rifles. This thickness is durable enough to receive high volume impact; great for clubs or competitive handgunners. 1/2″ Steel Gong Targets are created to withstand all calibers up to .388 magnum at a distance of 100 yds. Strong enough to handle daily rifle use. Generally speaking, the larger the plate the louder the sound. Typically anything over 10″ is going to be significantly louder that the smaller targets. Larger targets are used for long-range applications, providing not only larger surface area but also a loud ring when hit. Hanging mounts are preferred when it comes to the quality of sound as well as durability of targets. There are limitless ways to hang targets. Chain kits are one of the more common choices for hanging as it allows the target to move freely; however, links are easily damaged resulting in many repairs. Another method gaining in popularity is the use of old fire hose or strap kits. It is sometimes preferred as it provides more stability to the target, with less need of repairs; however, the sound is absorbed somewhat by the use of these materials. Regardless of which target you choose, remember to always use hearing protection. Noise cancelling ear muffs not only muffle the sound of the shot but will allow you to hear the desired ping. At Rogue Shooting Targets, we provide the superior steel targets that hunters, gun enthusiasts, and tactical trainees & trainers, value and trust. Laser cut in a variety of sizes and thicknesses, we offer free shipping to anywhere in the Continental US for all of our products. Over the past few years, steel targets have increased in popularity. Unlike paper targets, steel targets can be set-up and will remain so for the duration of practice. The sound the bullet makes when it hits alerts shooters when they are on point. Not mention the satisfying “Ting!” the bullet makes on impact. Before you head off to shoot, there are a few safety precautions one must take. Among them are choosing the right type of steel and firearm to use. AR500 is the go to steel targets for shooters. Why? 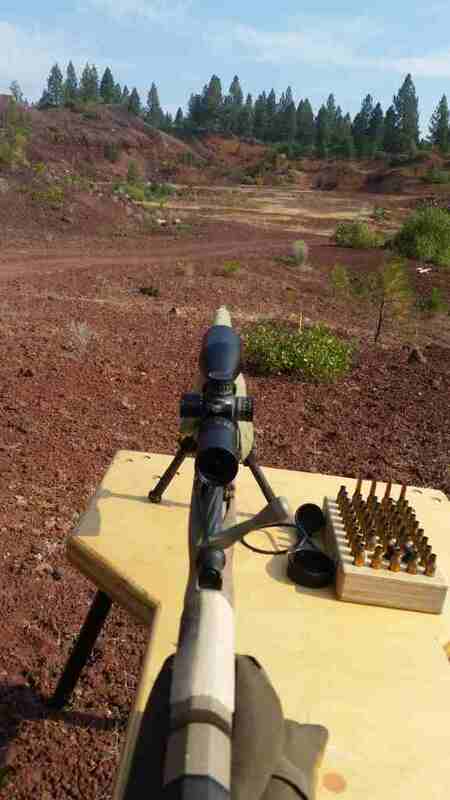 For starters, the hardness of the steel is what is recommended to use with the majority of rifle rounds. A softer target steel will lead to pitting that causes unpredictable ricochets overtime. This is one reason why you do not want to use any piece of steel you can find for target practice. While AR500 targets are not indestructible, if used for pistol only will probably outlast your pistol and as for rifles if you follow our guidelines will last a long time. As stated above, a high-quality steel target can outlast your favorite handgun. Angled targets are generally used at closer distances for handgun use. An angled target will help deflect the bullets energy away from a target and will help in directing the bullet splatter downward. We offer angled holders for our AR500 steel targets in both 10 and 20 degrees. When using AR500 steel targets, ricochets are not common but that does not mean they cannot occur. Which is why it is good practice to follow our steel target directions and always remember to wear protective equipment when shooting. Only use handguns, rifles, and shotguns on a steel targets. Never use; pellet, BB’s, and air guns of any kind. Using these guns can lead to unfavorable results. Only use standard lead ammunition. Avoid green-tip or bi-meal bullets because they will deform the target and cause ricochets. For your high-quality steel targets, look to Rogue Shooting Target for your steel target needs. Following the proper safety procedure, our targets will last for years. We offer a variety of stands, holders, and plates so that you will find the perfect fit for your shooting needs. For additional information about our targets, please visit our site today. Every business experiences times that are much slower than others. This is due to things such as the time of year and weather. Owners of a gun range will see a dip in visitors during the fall and winter season as the cold weather will keep shooters inside. How do you combat the weather? There are several tactics you can take from seasonal promotions to adding new elements to your range. Seasonal promotions are a wonderful way to get people in the door. Offer a special deal, such as a Christmas only deal during the month of December or a two for one in February to attract couples for Valentine’s Day. Offer group deals as well as it will be a draw for a group of shooters. Promotions make it more enticing to people when they feel they are getting a better deal for their money. Holding a First Shot Seminar at your range will also attract new participants to your range and create returning customers. Members of the National Shooting Sports Foundation qualify for a $3,000 cooperative advertising when they host a First Shot Seminar. Alternatively, you can attract experienced shooters by hosting more advanced competitions such as a 3 Gun Competition. You do not have to stick to one form of competition either. You can hold individual competitions for handguns, rifles, and shotguns, each with their own criteria for shooting. As with the First Shooter Seminar, look into available sponsorships. Another reason you may have seen a decline in customers has to do with the state of your range. Many gun ranges are either in or outdoors and let their equipment become old. A simple renovation with new targets and a paint job can do wonders for your business. If you have an indoor range, consider an outdoor one as it could draw in a crowd when the weather is nice. Do not forget to have an assortment of guns and rifles for customers to rent. If you are looking to replace your outdoor targets or expand to the outdoors, invest in nothing but the best with steel shooting targets. At Rogue Shooting Targets, we ensure ours are high-quality so your range maintains its spectacular reputation for excellence. For additional information about our products, visit our site. Learning how to shoot is only one aspect a shooter must perfect in order to be a great marksman. There are also four basic shooting positions that are vital to shooting. Prone, sitting, kneeling, and standing are the four positions needed for any rifle shooter who is out in the field or hunting. Here is a guide to help your perfect your position no matter which one you choose. The Prone Position is when a shooter lays flat on their stomach while the rifle is pointed toward the target. It is the ideal position for shots that require a steady hand and also offers comfort. If you have the time to get into this position, it works well when firing long distance shots. It can be difficult to assume when an animal is there in front of you. It is best to avoid when hunting in tall grass or an area with thick brush. The Sitting Position is another position that is easy and stable along with providing an accurate shot. Simply sit down on your behind with your legs crossed or knees up. If hunting in tall or dense brush, this position allows you to see over it to get your shot. Again, it is better if you have time to get into this position but do not have the space to lay down. The Kneeling Position is great for when you need to get the shot done quickly and provides better accuracy than standing. It requires practice as you are not as steady as you are when in the prone or sitting position. Go down on one knee, with the other up and pointed towards the target and use shooting sticks to steady and aim the rifle. The Standing Position is the least accurate and stable position of all. It is not the ideal position to shoot from but is necessary when your target is in front you and aware that you are there. To ensure you get the shot, stand with your feet apart, keep your head upright and raise the rifle up to your shoulder, aim, and shoot. Remember, practice makes perfect. To practice your shot, look to Rogue Shooting Targets. We sell high-quality steel targets so that you can practice shooting positions. For more information, peruse our site.